We care for the rug you use! Get 20% discount on your online orders. To keep carpet at peak performance, we recommend professional deep cleaning your carpet every 12 to 18 month. Over the years, we have worked with many types of rugs and have established the most effective cleaning techniques for each style. Our services will leave your home with better air quality, less allergens, a pleasing aroma and stain-free and dirt-free furniture. Once the inspection is finished, we design a cleaning process that will give the optimum results without damaging the rug. We dry all our rugs in a temperature controlled room to ensure a quick drying. Welcome to B&Y Rug Cleaning of NYC. If you have a dirty Oriental rug, a damaged antique rug, or even a carpet that needs cleaning we can help. We are passionate about rugs and we’re passionate about offering the best, hassle-free rug cleaning service in NYC. By pairing the most current cleaning technology with our old-world traditional approach, we care for your rug the proper way; without resorting to toxic chemicals or inadequate cleaning methods. With B&Y you can rest assured; our green rug cleaning services are entirely organic and safe. So, for any of your rug cleaning and rug repair needs, give us a call. Our service is fast, our technicians are friendly, and we guarantee the most satisfactory rug cleaning service in Manhattan and all of NYC. Give us a call for a rug cleaning price estimate to schedule an appointment or to get an obligation free in-home consultation! 212-359-1627 servicing New York. Make Your Rug Look New Again. Now 40$ Off First Time Customers! Professional Approach. Qualified Team. Get An Estimate. In Business Since 2007. Highlights: In Business Since 2007, Using Professional Approach, Highly-Qualified Team, High Standard Of Personal Care. 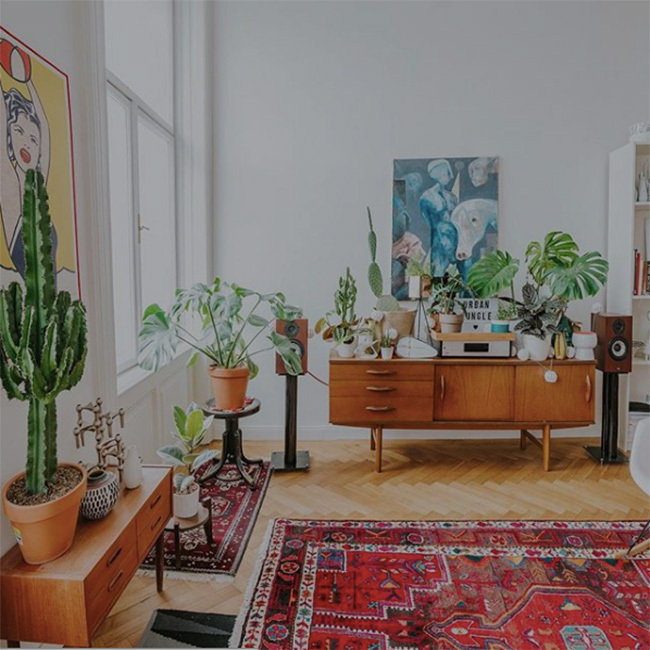 With our expert rug cleaning service in NYC, we will pick up your rug and deliver it looking like new before you even have a chance to notice it’s gone. Our technicians will gladly move furniture, package the rug, and deliver it to our rug cleaning facility; where we use the most current rug cleaning machines available. When your rug is returned, it will be clean, fresh, and ready for use; in fact, we’ll even help you move it right back to where we found it. Same Day Service in NYC. Stains & Odors Removed. 7 Days Week: 8 am-9 pm. 5 Star Yelp Rating. Services: Persian Rugs Cleaning, Turkish Rugs Cleaning, Oriental Rugs Cleaning. While our technicians are more than happy to extract and package your rug for cleaning, we understand that not all rugs can be moved. If you need your rug cleaned fast, if your rug can’t be moved, or if you just need to have a basic synthetic rug cleaned, we will gladly do it on the spot. With our on-site home rug cleaning, we will take our equipment to you. And while our onsite service is not recommended for antique or handmade rug types, it is an organic cleaning that is perfectly suitable for various rugs. Expert care at affordable prices. With over 35 years of collective experience, our rug cleaning specialists use traditional techniques to repair your rug. Our rug repair service is a personalized approach that takes into account your rug type, fabric, and even the weave used to create it. With our rug repairs, our number one priority is to keep the integrity of your rug without diminishing its historical or monetary value. While we specialize in rug cleaning and rug restoration& Carpet Cleaning NYC, we also service carpets at a very competitive price. Like our rug cleaning services, we only use green cleansers and we’re very proud to say that we personally investigate and even make many of our green cleaning products. Our Time-Tested Methods Makes Rugs Look New Again For Years To Come. Call Now in NYC. 20% Off Organic Rug Cleaning. We Do Not Compromise on Quality! Multiple Payment Options. Trained Technicians. Highlights: Trained Technicians Available, Professionals Available, Multiple Payment Options Available. With years of experience and a huge inventory of rug cleaning machinery and tools, we have the resources and knowledge to offer the best rug cleaning services in New York. But in addition, we believe our focus on providing a hassle-free service accounts for our many satisfied and returning customers. We appreciate your business and guarantee that you will be satisfied; given the chance, we’re sure you will agree that our service is a great value at a great price. We’re open 24-7, so if you would like weekend service, or even a late-night appointment, it’s no additional cost and we’re happy to accommodate your schedule. Our technicians are certified professionals that are trained to make sure you are satisfied. Our rug repair specialists have over 35 years of collective experience, making them some of the most knowledgeable rug craftsmen in the NYC area. Our cleansers and methods are organic, not only because these ph balanced solutions better preserve your rug, but because they are safe for children, pets, and the environment. We strive to offer the most hassle-free service around, if you need personalized service or have any requests, we’re always happy to oblige. We offer quick price estimates, so call today for a quick phone estimate, or use our price estimation form located on the contact us page. We also offer on-site price estimates; so if you need more information about our cleaning processes, or want an in person estimate, give us a call. It’s completely obligation-free, so there’s nothing to lose. We are serious about offering all of our customers the highest-quality organic rug cleaning. To do this, we try to keep our prices as low as possible. For organic cleaning, or even traditional cleaning methods, our prices are very competitive and represent an unbeatable value. b-y rug cleaning NYC did a great job when I had a carpet emergency. I have a pet who made a huge mess on my carpets and they come over and cleaned it all up. If you have a carpet that needs cleaning, give them a call, they will surely do an outstanding job. Looking for the best rug cleaning in NYC? Look no further because we’ve got you covered. When it comes to rug cleaning, most rug owners always want to self-clean it and in the process, the rug may be damaged. We know you spent a lot of money to buy your rug, which is why we are offering you professional rug cleaning services at a competitive rate. The first thing people notice when they enter your home or office is your rug because they will definitely step on it. So how would you feel when a friend or family member tells you your rug is dirty or smelling? You don’t need to wait for people to tell you your rug is dirty before you clean it professionally. We don’t only offer the best rug cleaning in NYC, our services are the most affordable. When you hire us to clean your rug, we will ensure it looks like a new one after cleaning. We provide world class cleaning services in NYC, so whenever and wherever you need our rug cleaning services, give us a call. Whether your rug is dirty, stained or smelling, we’ve got what you need to restore your rug to its new look. Dirty particles can destroy the texture of your rug because it makes it grimy and dusty. 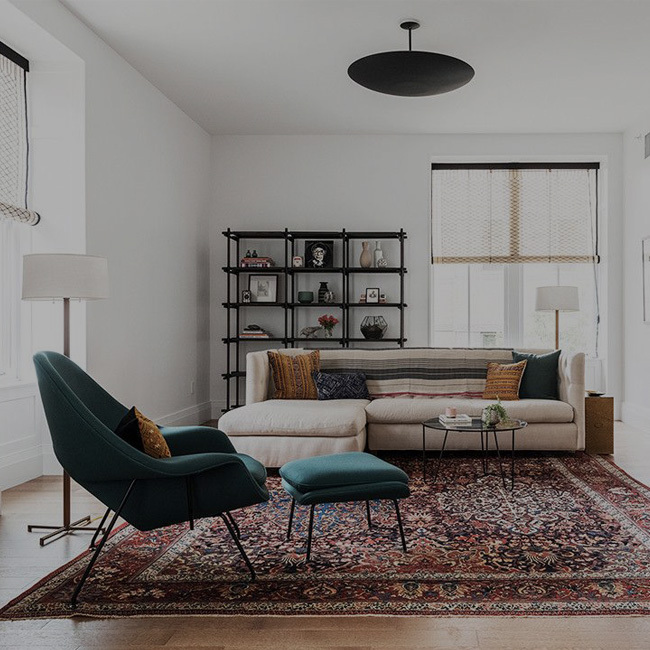 At B&Y Rug Cleaning NYC, we’ve set a new standard of rug cleaning services in NYC that is difficult for any other rug cleaning company to surpass. So if you are looking for the best rug cleaning in NYC, look no further than B&Y Rug Cleaning NYC. At B&Y Rug Cleaning NYC, we provide professional NYC rug steam cleaning services. We know your rug is important to you, which is why we want to help you protect your investment. Rugs make your home more beautiful and attractive but they will become dirty over time. When your rugs become dirty, cleaning them is not really easy. Although you can vacuum your rugs, it is not the best way to keep your rug clean and healthy. Our professional NYC rug steam cleaning service is the best way to clean your rugs. With our professional NYC rug steam cleaning, your rug will get a colorfast test for dye stability so there is no color bleeding in the course of cleaning it. So if you want to protect your expensive rug, it is what we do every day. Whether it is your office rug or the one you use at home, we will ensure it is thoroughly cleaned and remain clean for long. We also make sure we remove pet odors and dander from your rug so it can be safe for your children and not trigger an allergy. With specially formulated enzyme to treat pet-soiled areas and remove the stains and the urine odor, your rug is sure to be thoroughly cleaned. The best thing about our service is that we use less water to clean your rug to ensure you get your rug back within 24 hours. If you are looking for a baby safe product for area rug cleaning, B&Y Rug Cleaning NYC is here to provide you with worry-free services. Kids are important in the home and it is important to protect them from harsh and harmful chemicals. That is why we always use our specially formulated baby safe product for area rug cleaning. Because it is inevitable that kids will play on the area rug, it becomes important to use safe products to clean the area rugs. When kids leave dirt or mud on the rug by accident, you start wondering how to clean it. Well, you don’t have to clean it yourself because we are here to help. This is what we’ve been doing for the past two decades, so we are really good at it. Let B&Y Rug Cleaning NYC clean your area rugs for you so it can look fresh again. We use less water to clean your rug to ensure your rug is not exposed to mildew and mold, both of which are very dangerous to your family’s health. Also, we use a cleaning solution that penetrates deep into the fiber of your rug to remove pet feces, hair, dirt, bugs, dust and other particles. So if you are looking for a baby safe product for area rug cleaning, we are here to help. Our cleaning solution is natural and safe for your kids, pets and the environment. Give us a call and we will be glad to clean your rug thoroughly. Investing in Oriental rug is one of the best things you can do to beautify your home. Unfortunately, your oriental rug will become dirty over time. With the huge investment you’ve made in the Oriental rug, the best way to make it last is to have it cleaned professionally. At B&Y Rug Cleaning NYC, we’ve been serving NYC for more than 2 decades with the same level of dedication and expertise that made us name across the country. Our hand wash only for Oriental rug cleaning services offer the most detailed, finest Oriental rug cleaning in the industry. We take a great care when handling your Oriental rug and we always perform a complete assessment before touching it. This will ensure your rug receives the best treatment for its unique material, style, condition, color and age. After assessing your Oriental rug and our technicians determine that hand wash is the best, we will start the cleaning process with beating and dusting. Debris and dust are the major causes of wear and tear found in Oriental rugs but our beating and dusting process will gently remove dirt and dust lodged in between the rug’s fibers. And after dusting, we perform a color test to make sure the colors won’t run. After stabilizing the rug’s fragile areas, we will soak the rug with our specially formulated cleaning product. We hand wash and rinse it to eliminate any residue. If you are looking for the best rug cleaners, yet the most affordable, give us a call and we will make sure your rug is ready within 24 hours.